If you have been hiding under a rock you may be unaware the World Cup is starting next week, the biggest footballing event around. 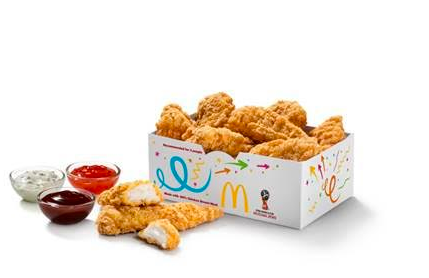 And in preparation for it McDonald’s have launched chicken and cheese Shareboxes which will be available exclusively via delivery. While the Chicken Selects Sharebox has nine pieces of delicious chicken in it complete with a selection of dips, the cheesier version has 15 Monterey Jack Cheese Melts also with dips. Although they are called ‘Shareboxes’, when I get mine I certainly will not be sharing! Only available through McDelivery which is provided by UberEATS, the Shareboxes will be sold in 200 restaurants across Britain from June 14. That means you will be able to tuck into the boxes while watching the games with your friends. 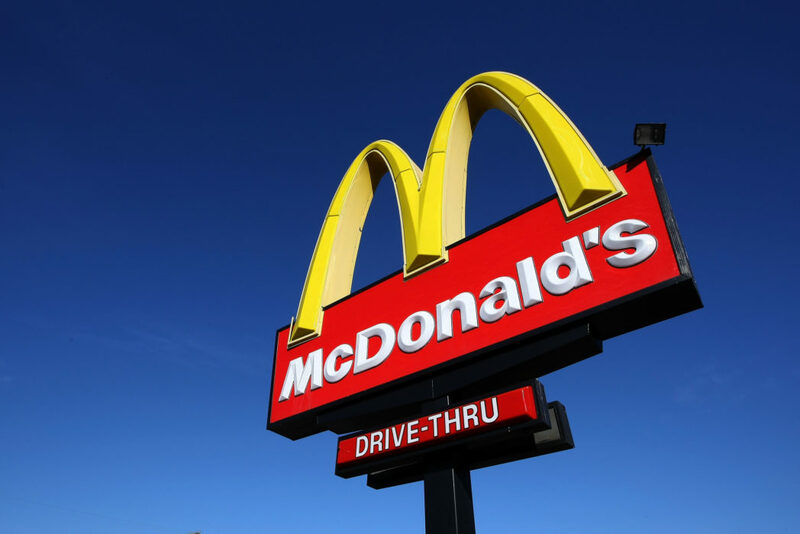 With a week to go until the launch of the 2018 FIFA World Cup, McDonald’s UK has confirmed it is expanding its’ McDelivery areas adding 200 new restaurants just in time for the first game. Following the successful launch of McDelivery last year, the service has now been rolled out to more than 200 new restaurants ahead of this year’s hottest football tournament – with plans for half of restaurants to be offering McDelivery by the end of the year. Since its launch last year, McDelivery has delivered to over 1 million unique customers and now operates from over 470 restaurants in towns and cities. If you’re settling down for a summer of footie and looking for the perfect mid-game shareable snack – look no further. It is the first time McDonald’s has offered something exclusively to McDelivery customers. To get your hands on the Shareboxes you will need to be living within a McDelivery area. 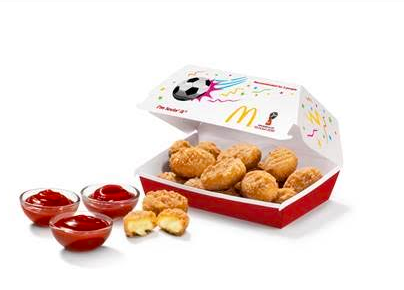 In further celebration of the World Cup, McDonald’s has also partnered up with UNILAD to create the ultimate tray so you can watch the footie with your mates in style. The sleek black tray comes complete with dedicated heating zones so that your burger and fries stay hot, a cool zone to keep your McFlurry chilled (even when you aren’t!) and a self-levelling mount so your drink doesn’t go flying with all the excitement. It’s also kitted out with some essential 2018 FIFA World Cup extras including a whistle for those off-side shouts, a stress-ball when penalties get too much, and even gherkin removal tongs – just in case you need them. Only a handful are being created so if you want to win one, head over to the UNILAD Facebook page and enter the competition to be in with a chance of winning your own. The 21st World Cup kicks off on Thursday June 14 with the opening ceremony inside the Luzhniki Stadium before the first game between host nation Russia and Saudi Arabia. A total of 32 teams will be competing in the tournament which Germany won for the fourth time in 2014. But maybe this year will be England’s year!